We go to museums, we admire beautiful pictures and we gaze at sculptures. Art is everywhere. Even though not every movement is for everyone, there surely is one artistic direction, which one likes. But why should all those inspiring works be shown at exhibitions only if we could also wear them? Whether you prefer Pop Art or Impressionism, this spring/summer season our outfits are becoming artsy. Fashion and art – they have always belonged together because they have kept inspiring each other decade after decade. For this season, instead of adopting some approaches or aesthetics only, various designers decided to integrate full paintings in their looks. Several of them took up Pop Art style out of the 60s, which was already leading the way for Modern Art back then. 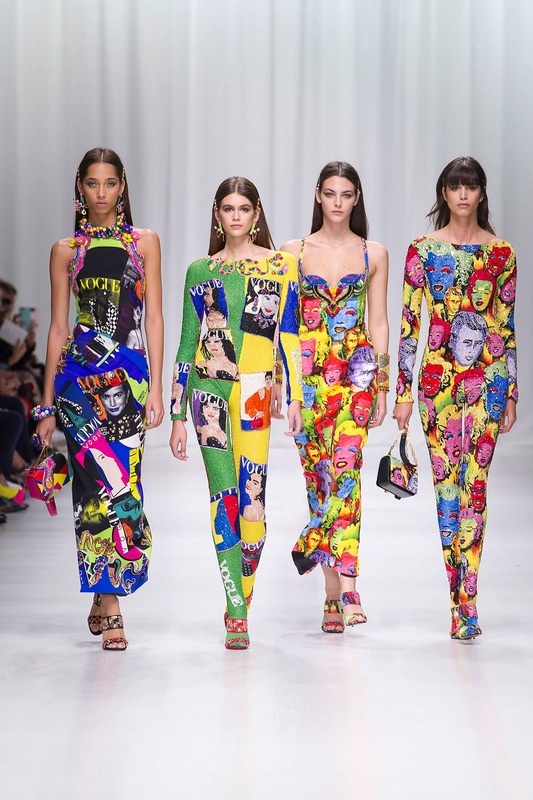 Therefore, Donatella Versace printed different Andy Warhol motifs on her designs and let Kaia Gerber walk down the runway in a jumpsuit full of former Pop Art Vogue covers. 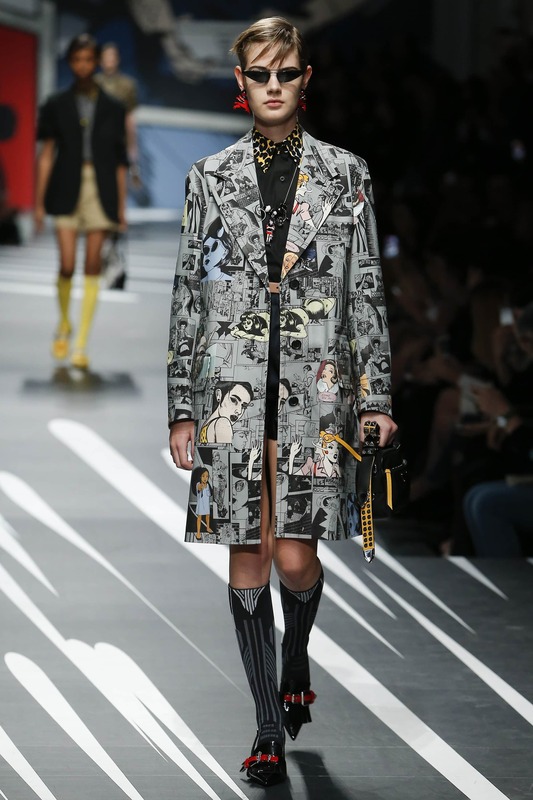 Miuccia Prada collaborated with different designers from the 30s, 60s and contemporary manga illustrators. Together, they came up with clear statement prints. Such as we know the Italian designer there were lots of strong feministic messages. Let’s call it fashion combined with art combined with empowering vibes. Yes, we could get used to this! 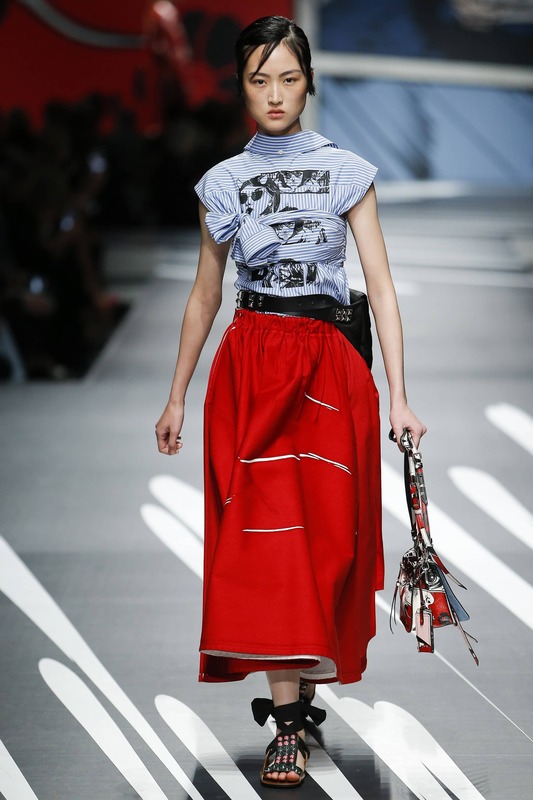 Besides comics and statement quotes, there are also art movements like Impressionism and Post-Impressionism showing up in this season’s collections. For instance, H&M dedicated its full Conscious Exclusive collection to the Scandinavian artist duo Carl and Karin Larsson. An idyllic atmosphere, dreamy emotions and blurred bright colors – while a lot of troubles are going on in this world, we definitely deserve some calm vibes. Moreover, this mood matches the H&M’s plan to switch to sustainable fabrics completely. 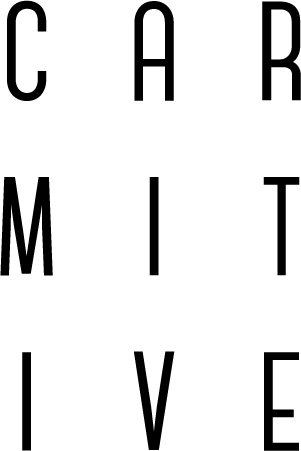 This sounds like a forecast, which is likely to improve awareness and maybe it will even make our world a bit better – just as it was represented during the impressionistic times. Of course, this meant a lot of flowers. They were present in Vincent van Gogh’s or Claude Monet’s paintings such as they later were in the floral wreaths of Frida Kahlo. Her work belongs to the movement of Surrealism and Social Realism and this explains why the messages of her paintings were always very meaningful. With her role as one of the first feminists in her country, Kahlo is also a great inspiration for the current discussions about #meToo and equal rights. Well, the keyword equality brings this post a full circle: art is for everyone – whether you prefer it on your clothes, in a museum or right up on your wall. Posted in Trendy Tuesday and tagged Art, Fashion, Flower Print, Flowers, Inspiration, Lifestyle, Musthaves, Pop Art, Style, Things to love, Trend. Bookmark the permalink. Ach der Frühling ist doch einfach herrlich und dann greife sogar ich ganz gerne mal in den Farbtopf. Wie immer ist dein Post eine einzige Inspiration und macht so Lust auf einen ausgiebigen s/s Shoppingbummel. Ich wünsche dir eine ganz fantastische neue Woche liebe Carmen, alles alles Liebe, x S.Mirli! Oh das freut mich riesig meine Liebe! Vielen Dank für deinen Kommentar! Love this! I love art and fashion and when the two come together as you so perfectly did here, I love them even more! Amazing post! Oh thank you very very much Maria! 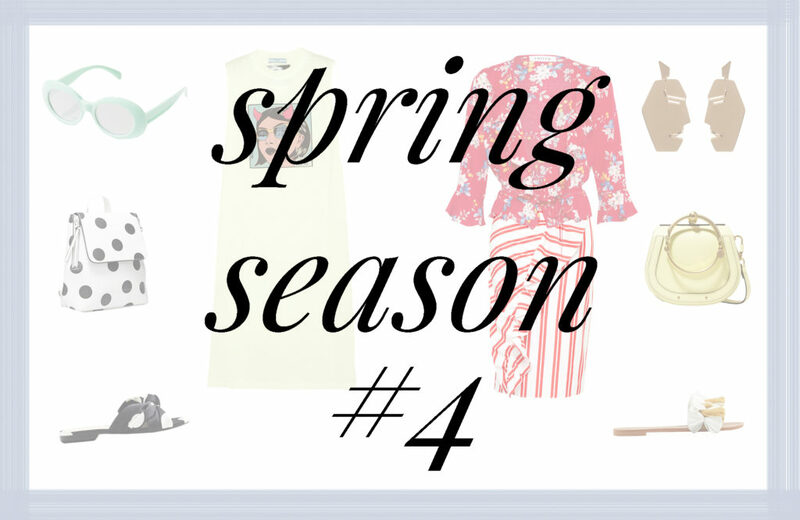 Loving these trends for Spring!! I love how art informs fashion! ohh deine Favoriten schreien wirklich total nach Frühling! Oh das freut mich sehr meine Liebe! Pastellfarben sind wirklich prima für den Frühling! Ja das hoffe ich auch! Ohhh love this post! Thanks so much for sharing! Dieser farbenfrohe Trend gefällt mir richtig gut! Oh das freut mich meine Liebe! Great selection! I love the floral shoes. I love it when fashion is colourful and fun! Finde solche farbenfrohen Trends einfach passend für den Frühling und Sommer. Oh vielen Dank für dein Kommentar liebe Katha, das freut mich! Adore everything hun, specially the art of graphics! I’ve always believed that fashion and art go hand in hand. 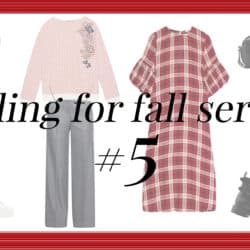 Loving these trends for spring!